He was born in Woburn, Massachusetts in 1753 and was educated in the village school until he was thirteen. Sometimes he would walk the ten miles with an older friend to Cambridge to attend lectures by John Winthrop at Harvard College. At thirteen he was apprenticed to a merchant in Salem and was very successful. He met upper class educated people and strove to emulate them including their interest in science. At this time he started to do experiments on the nature of heat and conversed about them with the friend he went to the lectures with. He had no standing or prospects until in 1772 he met and charmed a rich widow and married her. This knack with women we will see later. They moved to Portsmouth in New Hampshire where the influence of his wife managed to get him a commission as a Major in the New Hampshire militia. When the revolution started Benjamin was a man of property and a loyalist. He tried to recruit for the militia and that upset the mob which attacked his house. That decided him to flee to the British lines and leave his wife and child. Since he brought with him information about the rebels he was welcomed . With the British he became an aide to General Gage and Lord George Germain. During this time he carried out experiments on the force produced by gunpowder and the results met with acclaim and were published in the Philosophical Transactions of the Royal Society. After the war he had to go to England where his reputation as a scientist preceded him. London allowed him to continue his research into heat. He was the first to put forward the idea of heat rays, though he also believed that cold rays existed. To measure these rays he constructed an apparatus consisting of two hollow glass spheres covered in soot with a tube in between contain a liquid. The air pressure in each would rise when heated and move the liquid along the tube. Benjamin calibrated heat sources against a candle made to a rigorous specification. This was the precursor of the candela unit of luminosity. One of the things that bothered him was the small amount of heat and the large amount of smoke produced by inglenook fires. He was able to establish that the largest amount of heat from a fire was produced by the infra-red rays. This led to him designing a fire with angled sides to increase the emitting area and without the cast iron at the back which reduced the temperature. 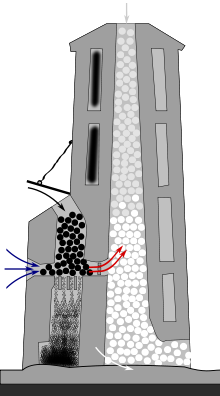 Next he streamlined the flow of air using a throat which then expanded into a truncated pyramid shaped void prior to travelling up the chimney. This caused secondary combustion and stopped blow back of smoke caused by winds. He managed to produce a fire that gave more heat for less fuel and was virtually smokeless. It caused a sensation and was adopted eagerly by the rich. By 1779 he was elected to membership of the Royal Society at the age of twenty six. He served in the Government and Colonial Office and was so successful that he was knighted in 1783. By this time he was a full Colonel in the British Army. As before, Benjamin had a way with women. He met the sisters of the Elector of Bavaria and Prince Maximillian in Strasbourg and via the Prince obtained the position as a military and civilian advisor to the Elector. He was made a Major General in the Cavalry and a Privy Councillor for the State of Bavaria. The army in Bavaria was in a state of low morale, poorly paid, equipped and clothed. As well as that a quarter of the population were beggars, following all and sundry and impeding access through the streets. Firstly Benjamin experimented with insulation. He proposed that there would be a summer uniform of cotton based material and a winter one of wool. When he approached the usual enterprises to produce the new specification uniforms, they all refused. What happened then shows his genius. He approached the Elector and proposed that they produced the uniforms themselves using modern technology. Their remained the problem of workers, simple, begging was made illegal. When a beggar was apprehended he received the choice of prison or paid work with health care and education for their children in the factory. The begging problem was eliminated and the workers of the factory treated Benjamin as a Saint, downing tools to pray for him during bouts of intestinal illness he was prone to. This was despite them being Catholic and he Protestant. So far he had solved the problem of begging and improved the morale of the army, but he was not finished. Next Benjamin improved the kitchens by producing cooking stoves of high efficiency with pans that locked onto the plate. The cost of the fuel plummeted so that two thousand could be fed burning wood that cost 4s 11d or 25p for the young. He had already invented a new lime kiln that kept the fuel and chalk separate which was adopted throughout Western Europe to produce a white rather than grey lime. The soldiers got a pay increase and a similar deal to the factory workers for their children, but they were under occupied. With the Elector’s consent a swamp in Munich was turned into a German version of Kew Gardens, The Englischer Garten Munich. There is a statue of him at the entrance. In 1791 he was named a Count of the Holy Roman Empire, Count Rumford after Rumford in Massachusetts, since renamed Concord. Later on the Napoleonic wars started and Benjamin wanted to travel back to England. He was issued with a travel pass by Napoleon himself and visited with him in Paris despite being a full Colonel in the British Army. The person left by Benjamin to take over his job was a coward and debunked when things got difficult. Benjamin was summoned back to Munich with the city threatened by two armies, the French and the Prussians on either side. Since he spoke both languages as well as English, Benjamin went out to parley with both sides. He asked the French whether they intended to enter Munich and the reply was not if the Prussians do not. The Prussians said the same with respect to the French, and by the time he went to pass the answer to the French, their army had displaced to another theatre. He received a hero’s welcome by an already grateful city. The Elector died, however, and as is usual with German aristocracy the successor hated all associated with the previous regime. He returned to England. There he endowed the Royal Society and the American Academy of Arts and Science with $5000 to give medals every two years for outstanding work on heat and light. Recipients include: Humphry Davy, Michael Faraday, Louis Pasteur, James Maxwell, and John Tyndall from the Royal Society and Josiah Gibbs, Thomas Edison, Albert Michelson, Irving Langmuir, Arthur Compton, Karl Compton, Enrico Fermi, and Edwin Land from the American Academy. The residue of his estate was used to create a Rumford Professor at Harvard. In 1799 along with Joseph Banks he started the Royal Institution. They chose Humphry Davy as the first lecturer. Both Davy and Faraday his successor were self-educated scientists like him. 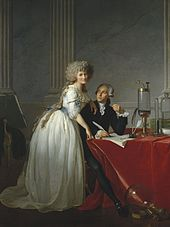 In 1804 he married the widow of the father of modern chemistry, Lavoisier, his abandoned American wife having died by then. This was probably done to access her money, but she wanted to do science as well as she had with Lavoisier. The marriage ended in divorce after three years, but he remained in Paris and his ex-wife would visit every day. He died there in 1814 and is buried in a small cemetery in Auteuil in Paris. Most people’s knowledge of him come from his work on what we now call the mechanical equivalent of heat. He did the work when he noticed the heat produced by blunt bits trying to bore a cannon. The work was refined by James Joule. The importance lies in the effect it had on the calorific theories of ‘fluid heat’ which did not explain the phenomena of work producing heat. I hope you enjoyed this account of a remarkable man. The inspiration was OT wanting something about Physics and me wanting a story without equations. Why not a film yet? Probably because the Americans may have trouble selling it to themselves. His birthplace is a museum and Presidents have recognised that he was the greatest genius that they have produced from his era and a long time after. Yes, I have a Rumford Fire in my house in France. Statesman, Spy. Sutton Publishing. ISBN 0-262-02138-2.